As in, this part of Texas needs only about 2 more inches over the rest of the month to set a new record for the wettest May in recorded history. At the rate our skies have been leaking the past few days, that should take no more than an hour or two. Luckily, I know how to hold my breath underwater. But I should find a spare minute to turn off the notifications from my Night Sky app. 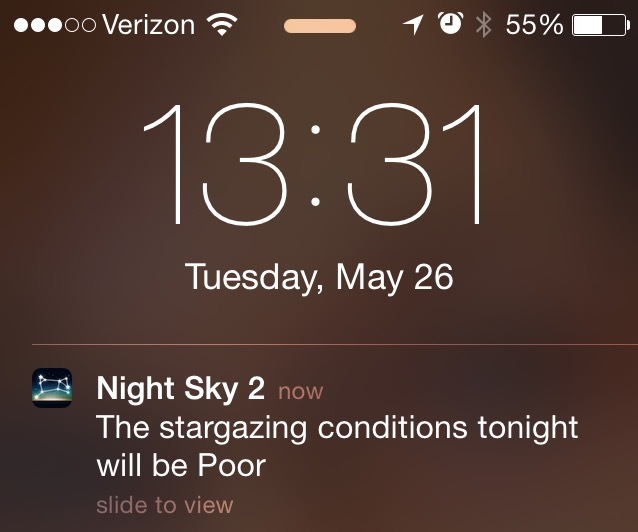 At least, until they improve their notification sensitivity so the app only bothers me on those rare days when the stargazing conditions are expected to be fair or better. As is, they’ve been notifying me something I already know. Our weatherman promises we’ll finally see some sun today. After a week of cloudy skies. After less than a handful of clear skies since the solstice. Check out the moon, watch Mars, Venus, Mercury, Jupiter, Saturn, and relocate Canopus and Algol and all those other stars I’ve been waiting patiently to see again (after sunset, obviously); and then . . .
Head back inside and get the fireplace going strong again, so we can be set for another month of cold cloudy skies. If You Find A Sick Dog . . . Rarely have any cold fronts moved through the Houston region more abruptly. On my outbound commute from the office around 5pm, the radio noted that although downtown temperatures at that hour remained at 74°, the temperature up at Conroe had already dropped to the high 50s, suggesting a sharp wall to the front. Shortly after 6pm, a weather map on the television showed Conroe at 41°, downtown Houston down to 58°, but Pasadena near us still up at 73°. Not only a sharp wall, but moving steadily south. Sitting out in the back yard, the front could be both felt and seen. Wind gusts have taken the temperatures down more than 10° during less than half an hour. And a clear line can be seen between dense clouds being pushed down toward Galveston and crystal clear skies to the north over Houston. Today our high temperature reached 78° without setting a new high for the day. Tomorrow we’ll see one brief day of what Houston calls “winter,” on overnight lows barely brushing the high 20s, then with the high temperature tomorrow afternoon only reaching 48°. But by Thursday it will be warming up into the 60s again, and don’t be too surprised if we’re back into the 70s for the weekend. Back when Hurricane Ike was threatening Houston, I picked up an NOAA public alert radio, which beeps in on us with tornado alerts and such (when I remember to keep it powered up). But for a basic heads-up of a pending Texas gullywasher, all one needs is Dish network. Eh, I’d still take satellite over cable anytime: satellite only loses touch for a minute or so when heavy weather passes through; cable’s business-as-usual left us out of touch for weeks straight without so much as a shrug. This is as much autumn as Houston will see. No leaves turning and falling and needing to get raked up. No frost on the grass and windows. No breath in the air. 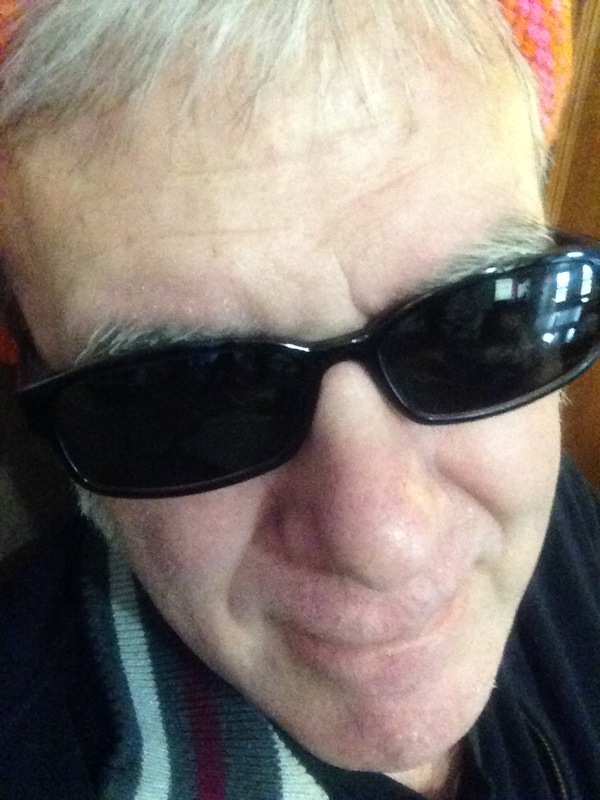 Just a little chill, enough to warrant bringing out my leather jacket for a few days. Which is as long as this will last. Then we’ll go back to another of Houston’s many summers, until it’s time for a week of winter. Then we skip spring altogether and go back to summer.